Belt sanders are considered good choices for big jobs. An orbital sander helps prevent scratching. The woodworking sander you choose for your wood shop will depend heavily on the types of projects you intend to do with the tool, but remember that one type of sander will not be able to accommodate all jobs. You may need to consider purchasing more than one type of woodworking sander, depending on what your shop needs are. Choosing the right tool for the job will save you a lot of headaches and frustration. If you work mostly on large, heavy-duty projects that require you to remove a lot of material at once, the woodworking sander you will want to consider is a belt sander. This larger, handheld machine uses one solid sanding belt that rotates in the same fashion as a conveyor belt. The belt sander removes large amounts of materials from a piece and should not be used for detailed sanding. One example of an application for this type of woodworking sander would be to remove thick coats of varnish or paint from larger pieces. Be careful, since the belt sander will remove a lot of material quickly, and it is easy to remove too much material, thus changing the shape and character of a piece of wood. Because the belt moves in one direction, a belt sander can cause scratches on the surface of the wood. For smaller, more detail-oriented projects, consider an orbital sander. This type of woodworking sander comes in several forms. The palm sander is a small powered device with a pad on the bottom that rotates in a random orbit to prevent scratching. This type of woodworking sander is good for smaller pieces of wood such as molding or drywall and takes off significantly less material than a belt sander. A right-angle orbital sander will take off more material than a palm sander and is good for bigger jobs that require extended use. Unlike the belt sander, however, the right-angle sander will not leave as many scratches and can be used for some detailed work. For very large projects--such as refinishing projects on larger pieces of wood--consider a bench sander. This woodworking sander works in much the same way as a belt sander, but is a larger apparatus that sits on a tabletop or that can be affixed to a workbench. Many bench sanders also include a rotating sanding disk, which is good for slightly smaller pieces and round pieces. A bench sander will take off large amounts of material, so be careful with this tool if you are working on a piece with a lot of detail. 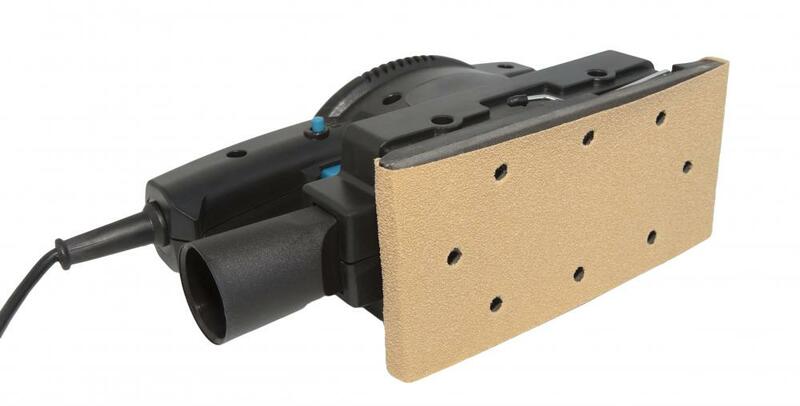 This type of of sander creates large amounts of dust, so be sure to consider a dust-collection system with this device. What Is a Planer Molder? What is a Disk Sander? @raynbow- I think that a palm sander is exactly what you need for the type of woodworking you have planned to do. For a table, you don't need a large, powerful sander. You may even want to consider using a hand sander that isn't powered by electricity. This type of sander would be a good choice for small, delicate furniture that doesn't appear to have layers and layers of old finishing products on it. Does anyone know how effective a palm sander would be for refinishing an old, wooden table? Would it be gentle enough not to damage the wood yet strong enough to remove the old finish?